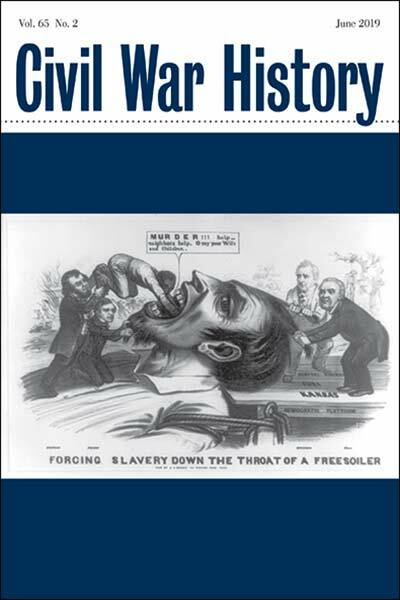 This article explores a recent hot topic in historical scholarship of the antebellum period: the roles of slavery and capitalism. 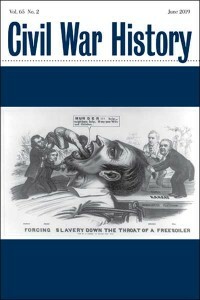 The recent flurry of scholarly works on slavery have concluded that slavery was “not only a capitalist endeavor but virtually the starting point of capitalism.” Huston is unconvinced, particularly since scholars have failed to provide meaningful definitions for the terminology that they seek to describe. His article explores how definitions of capitalism as tied to slavery have evolved over time and he offers some recommendations for where the field can go from here. This essay investigates the friendships among the key players involved in the repeal of the Missouri Compromise as part of the introduction of the Nebraska Bill in January 1854, especially Stephen A. Douglas, David R. Atchison, Philip Phillips, William A. Richardson, James C. Jones, Archibald Dixon, James M. Mason, Robert M.T. Hunter, Andrew P. Butler, William O. Goode, Jefferson Davis, and Franklin Piece, and argues that these impersonal relationships are a crucial, missing element in the political story of the behind-the-scenes maneuvers that originated the measure. This essay finds supports the view that operated within a broader political culture of male friendship that that undergirded the Washington brotherhood; however, these same friendships also operated to threatened the continuation of the national union. James L. Huston is Regents Distinguished Professor at Oklahoma State University, Stillwater, OK. His most recent book publication is The American and British Debate over Equality, 1776-1920 (Baton Rouge: Louisiana State University Press, 2017). He is currently working on the distribution of income and its effect on aggregate demand in the U.S. in the nineteenth century. Atchison, R. Jarrod. A War of Words: The Rhetorical Leadership of Jefferson Davis. Reviewed by Ryan O’Hallahan. Holm, April E. A Kingdom Divided: Evangelicals, Loyalty, and Sectionalism in the Civil War Era. Reviewed by Timothy Wesley. Mitchell, Arthur H., ed. Fighting Irish in the American Civil War and the Invasion of Mexico. Reviewed by Andrew Mach. Smith, Adam I. P. The Stormy Present: Conservatism and the Problem of Slavery in Northern Politics, 1846-1865. Reviewed by Michael D. Robinson. Fitzpatrick, David J. Emory Upton: Misunderstood Reformer. Reviewed by Samuel J. Watson. Dilbeck, D.H. Frederick Douglass: America’s Prophet. Reviewed by Robert S. Levine. Berry, Daina Ramey. The Price for Their Pound of Flesh: The Value of the Enslaved, from Womb to Grace, in the Building of a Nation. Reviewed by Daniel Livesay. Kytle, Ethan J. and Blain Roberts. Denmark Vesey’s Garden: Slavery and Memory in the Cradle of the Confederacy. Reviewed by Chris Myers Asch. Kamerling, Henry. Capital and Convict: Race, Region, and Punishment in Post-Civil War America. Reviewed by Robert Colby. White, Jonathan W. Midnight in America: Darkness, Sleep, and Dreams during the Civil War. Reviewed by Angela M. Riotto.